258 p., 1 ill., 14,8 x 20,5 cm. In cooperation with Eric S. Nelson and Marco Sgarbi. With contributions by Benjamin D. Crowe, Ulrich Dierse, Annette Hilt, Theodore Kisiel, Rudolf A. Makkreel, Massimo Mezzanzanica, Jared A. Millson, Eric S. Nelson, Frithjof Rodi, Maja Soboleva and Denis Thouard. Understanding the human sciences, what they are and what they can achieve, is as important today, one hundred years after Dilthey’s death, as it was when he was alive. 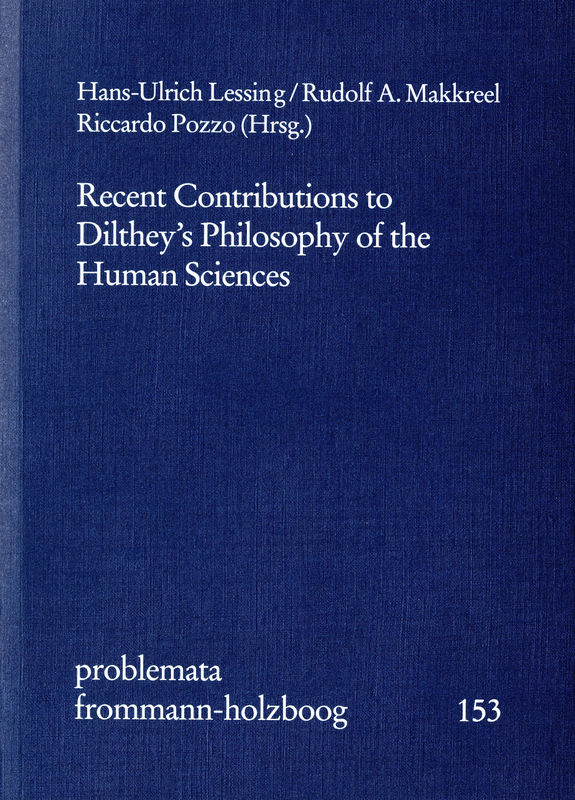 Dilthey’s own arguments and positions regarding a comprehensive philosophical foundation for the human sciences are still relevant. His program of defending the autonomy of what he called the world of human spirit (die geistige Weil) against positivistic approaches can be used as a paradigm for current assessments of humanistic research. On the 100th anniversary of Dilthey’s death, ten renowned philosophers focus on two fields of interest – ›Dilthey and Kant‹ and ›Dilthey and Hermeneutics‹ – to show how Dilthey can productively contribute to today’s discussions. The English and German essays will serve especially those academics who have dedicated themselves to the methodological renewal of ›intellectual history‹, to the history of philosophy and science as well as to the history of concepts.